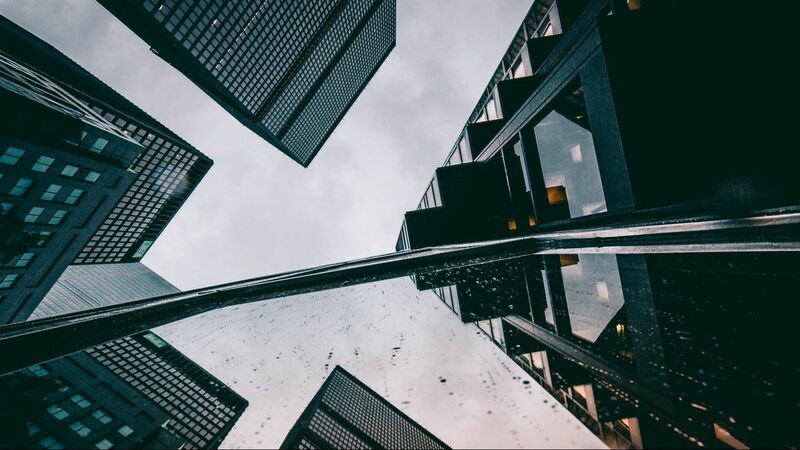 Meet Our Team - Professional Management Enterprises Inc.
For over 20 years, Mr. Portee has been developing and delivering marketing excellence in task-driven, multi-cultural, and global environments. With a consistent record of achievement in promotion and marketing, he has demonstrated the ability to recognize innovation and implement strategic thinking and leadership capabilities in product and segment marketing. He has done so through traditional and non-traditional channels, new program launches, and the development of non-productive territories to markets of opportunities.As the Owner and President of Professional Management Enterprises, Inc. (PME), headquartered in Indianapolis, Mr. Portee provides daily corporate leadership to his staff, while directing and coordinating national sales, new business development, marketing, and customer service. He manages the company budget, recruits, trains, and supervises professionals on his team – all while maintaining a corporate culture of individual cultivation, diversity and innovation. Mr. Portee received his Associate of Science degree from Vincennes University in 1995, his Bachelor of Science in Human Resource Management from Oakland City University in 2001, and an MBA in Organizational Leadership in 2003 and Human Resource Management from Columbia Southern University in 2010. In 2010, he received his HR Selection and Staffing Certification from Cornell University. Mr. Portee other accomplishments includes earning the Human Capital Strategist certification, Certified Personnel Consultant, Certified Career Coach, Certified Resume Writer, and he’s a board member for Jobs and Prosperity Task Force for American Solutions, and Hoosier Veteran Assistance Program (HVAF).As an enlisted member in the Army from 1983-2003, Mr. Portee served in the capacity of Senior Telecommunications Manager, Recruiter, Sales Manager and Trainer during his twenty years of military service. Portee and his wife Pamela live in Indianapolis, Indiana and have two children. Mrs. Yolanda Merritt holds the current position as the Director of Human Resources at Professional Management Enterprises (PME). Mrs. Merritt has been in this role since January 2012. Yolanda has also served in the role of Director of Recruiting from January of 2005 to January of 2012. Mrs. Merritt is highly organized, take charge professional with more than thirty two years of Human Resources and Recruiting experience. Prior to joining PME, Mrs. Merritt served 22 years as an Active Army Senior HR Manager, providing human resources support to military forces operating in several states with in the Continental United States. Mrs. Merritt has extensive experience as an Army Human Resources Manager to include seven years as one of the Top Recruiters within the United States Army Recruiting Command. Mrs. Merritt holds a Bachelor of Science in Business from University of Phoenix. Clarissa R Nowlin joined Professional Management Enterprises (PME) in March 2013 and serves as the Controller. She brings more than 30 years of demonstrated expertise in financial planning, reporting and analysis along with accounting/financial/tax experience to the team. She obtained her experience from one of the big 4 accounting firms as well as over 18 years working in the staffing industry, IT specific. She is responsible all aspects of managing and overseeing the accounting and payroll department. Clarissa graduated from Ball State University in 1987 with a Bachelor of Science in Accounting. CPA Candidate She enjoys spending time with family. Will Retherford has two decades of experience in the IT and consulting fields, with organizations ranging from less than 10 employees to over 100,000, delivering projects and services to the Federal and State government, biotechnology sector, manufacturing, healthcare and financial services market. But if you ask him what is real occupation, he’d say “I’m an itinerant youth football coach, renaissance man and street corner philosopher”. Married for 22 years with two children, his primary focus at PME is on what we can do to get 2% better every day. Linda Flores-Graham has been working for Professional Management Enterprises, Inc. for two years as a Project Manager/Senior Healthcare Recruiter/Credentialing Specialist. Linda graduated from Webster University with a dual Master of Arts in Human Recourses and Management, and a Bachelor of Science in Business Administration from Wayland Baptist University. She has 14 years experience in Management, and 18 years experience in recruitment. Her recruitment experience has been in the following positions: Physicians, Mid-Levels, Nursing, Allied Health, Information Technology, Protective Services, and Miscellaneous Services. Kendra Burwick has been a recruiter and office manager for the PME office in Columbia, SC since March of 2015. She is a graduate of the College of Charleston. After spending eight years in various leadership roles in the banking industry, Kendra found a love of human resources. She will complete her Masters in Management and Leadership from Webster University in early 2017 and plans to sit for her PHR certification later in that same year. Jim Brown holds the position of payroll specialist at Professional Management Enterprises (PME). Jim started at PME in August of 2016 and brings over 15 years of payroll experience to the organization. Jim holds an associate’s degree in accounting from Chippewa Valley Technical College. Prior to joining PME, Jim has experience in multi-state payrolls, accounting and human resources. Jim is very involved in his church including a founding member of a prayer warrior group. In his spare time, Jim loves to bake. Employed by PME since 2012 Jennifer has a bachelor’s degree from Indiana University and over 20 years of experience in Accounting, Payroll Administration and Administrative disciplines. Prior to joining PME, Mrs. Pongonis has worked in the Corporate arena ,Non-profit, and Small Business environment – enabling the combination of big business and government programs to further the promotion of small businesses and to help them succeed. With specific experience in accounting, payroll law, grant specifications, proposal requirements, in-house IT systems, and software aptitude, Mrs. Pongonis brings a “can do” attitude to any environment. 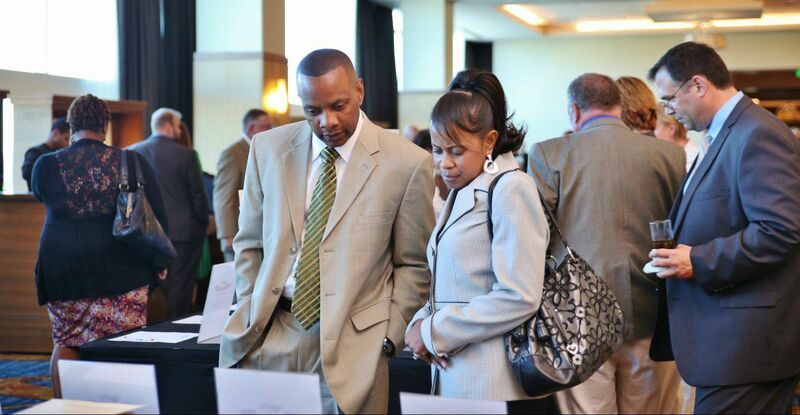 Laketa “Portee” Gardner joined Professional Management Enterprises while studying in college. Laketa has held the position of Director of Career Services position with ITT Technical Institute as well as My Computer Career. Laketa has experience in conducting professional development seminars, resume writing, career coaching, and placement of college graduates in their fields of study. Laketa graduated from Indiana University with a Bachelors in Telecommunications, and also earned her Master’s Degree in Business from University of Phoenix. Laketa resides in Fishers, IN with her husband and daughter. Jason Brock joined PME in February of 2017 as a Senior Recruiter. He has worked in the recruitment industry for 27 years specializing in staffing, contract, contract to direct and direct hire recruiting. Jason has worked with Manufacturing, Healthcare, Engineering, Hospitality, and IT professionals throughout his career. He attended Ball State University until he was introduced to the world of recruiting and then completed his BS degree in Business Administration at ITT in 2006. In his spare time, he coaches little league softball, baseball, and football to be with his two children, Jaylon and Shayla. His wife Amanda and the kids love traveling to the South East, riding the wave runner, camping, and their chickens. Clarence joined PME in March 2018 as the Human Resources Generalist. Previously, he worked in Human Resources at Honda Manufacturing. He is a graduate of Indiana University, and will complete his Master's Degree in Human Resources Management in August 2018. Clarence also holds a Graduate Certificate of Human Resources Development and Training from Michigan State University. He enjoys spending time with family and going home to Alabama for annual vacations. Cordaryl Taylor joined PME in November 2017 and serves as the Talent Acquisition Consultant. He is a graduate of Indiana University and concentrates on talent attainment, employee retention and relationship building with internal and external clients. He brings a multitude of HR/Recruiting expertise in IT, Healthcare and facility management. Cordaryl also sits on the leadership board for New Living Bible Church and resides in Indianapolis, IN. Jocelyn Williams is currently the Operation Support Manager for Professional Management Enterprises. Ms. Williams holds a Bachelor's Degree in Business Management from Wilberforce University in Wilberforce Ohio. Post-graduation, Jocelyn served as a Business Relations Specialist for the State of Indiana, Department of Administration, Division of Supplier Diversity for 11 years. In this role she assisted minority-owned, women-owned, and veteran-owned businesses in obtaining their state certifications, along with training business owners on state procurement processes. Ms. Williams also currently serves on the Board of Directors for Seven Pillars Ministry, Faith Hope & Love Inc., and is a former Board Member of IU North Hospital Family Patient Advisory Board. Jocelyn is an active member of her church and enjoys feeding the hungry and meeting new people from various backgrounds. 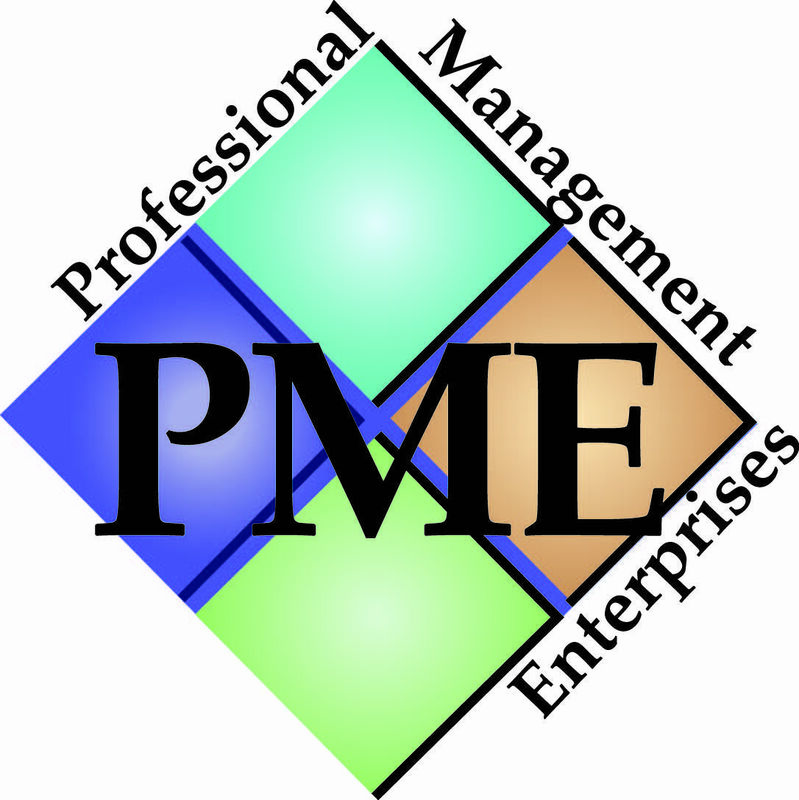 Holy Prom is currently the Program Manager for Professional Management Enterprises (PME). She is responsible for the development of policies and procedures related to Non-Emergency Medical Transportation as well as leading the quarterly and annual audit processes. Her role also includes compliance oversight and subcontractor management with additional business support functions. Prior experience in the healthcare field has provided her with opportunities to develop and refine her communication, interpersonal, time management, and problem solving skills which enables her to successfully direct and lead diverse groups of personnel with different backgrounds and personalities. Holy has over 10 years of Medicare/Medicaid experience with the familiarity of procedural and coding systems, policy, and data analysis. She is a results driven and team oriented professional that maintains a high degree of confidentiality in all matters and ensures full compliance with HIPAA regulations. Her strong intiative and exceptional organization skills, combined with the ability to work well under pressure, allows her to play a crucial role in fast-paced, centered environments.